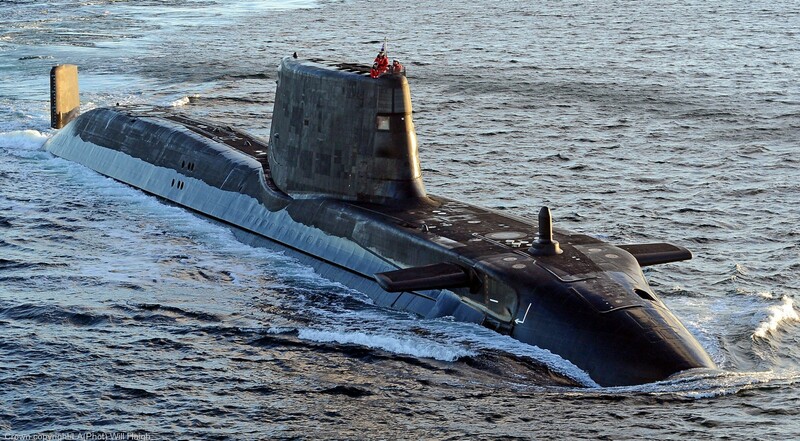 Ambush was ordered from GEC's Marconi Marine (now BAE Systems Submarine Solutions) on 17 March 1997. 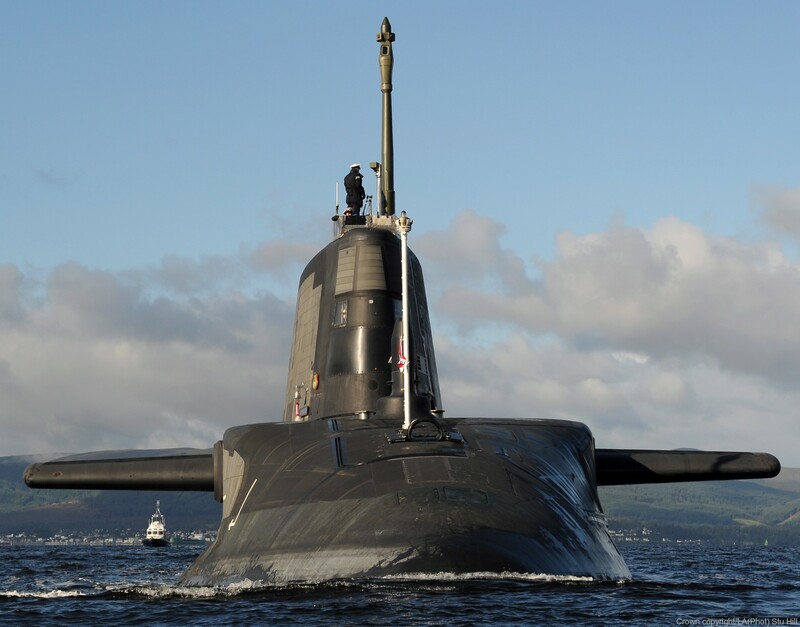 She was laid down at Barrow-in-Furness on 22 October 2003, officially named on 16 December 2010, launched on 6 January 2011, completed her initial dive test on 30 September 2011, and departed Barrow for sea trials on 15 September 2012. 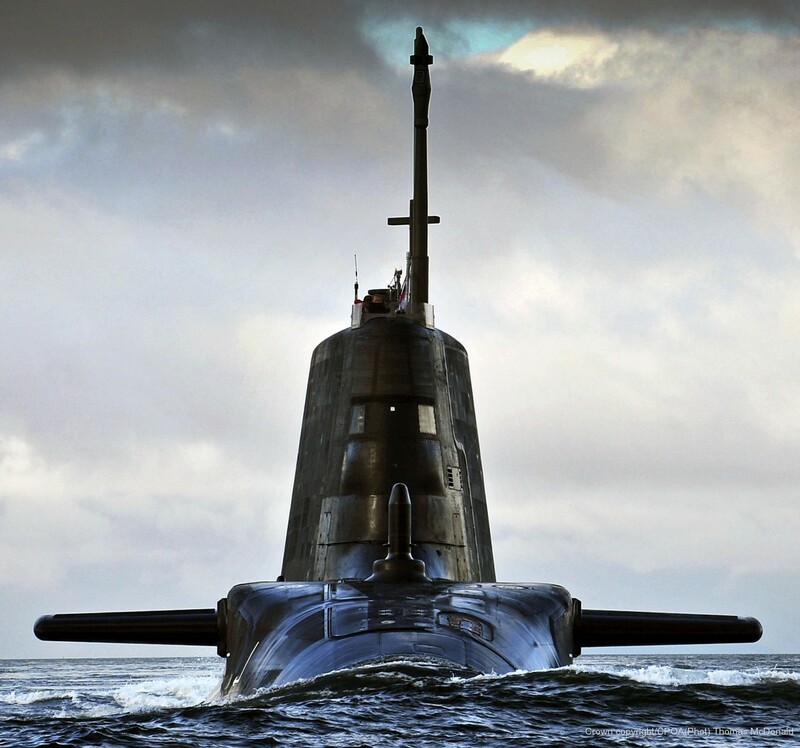 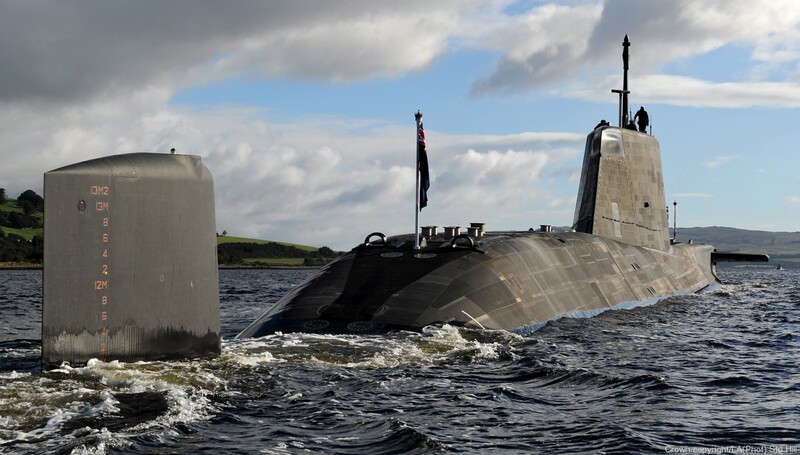 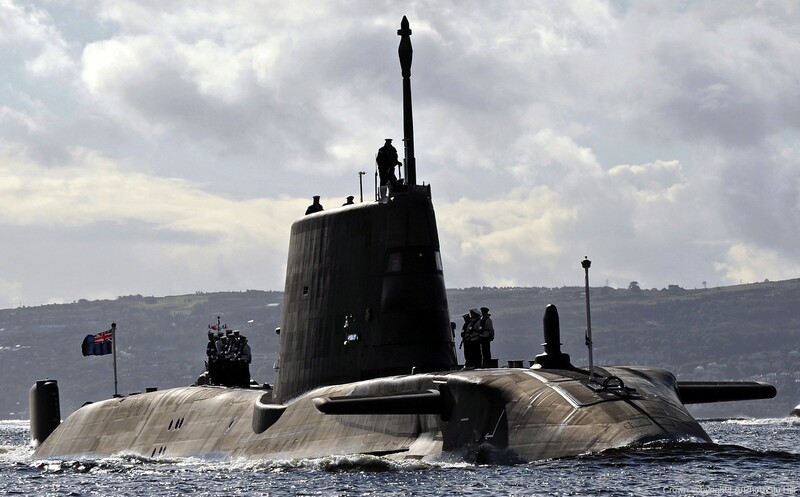 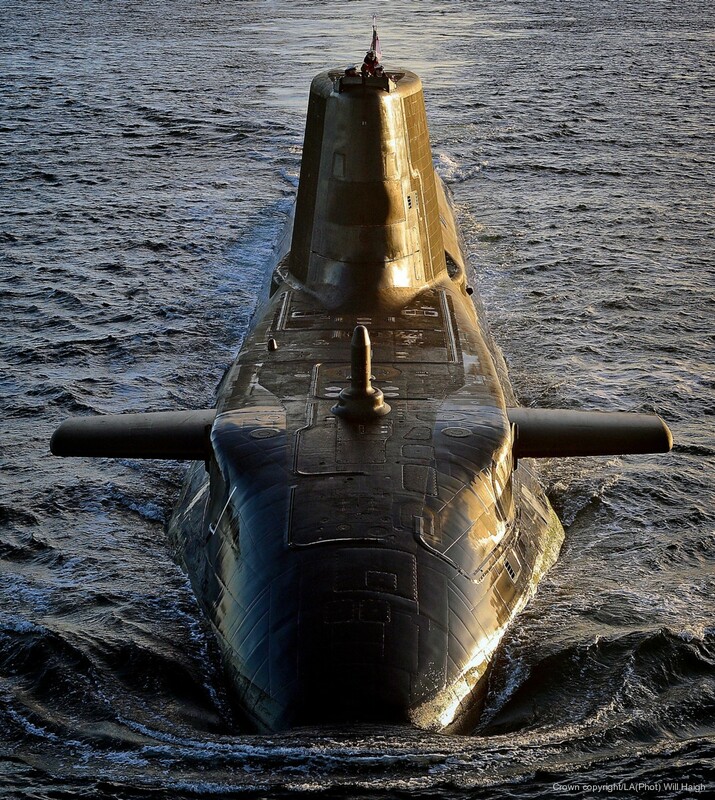 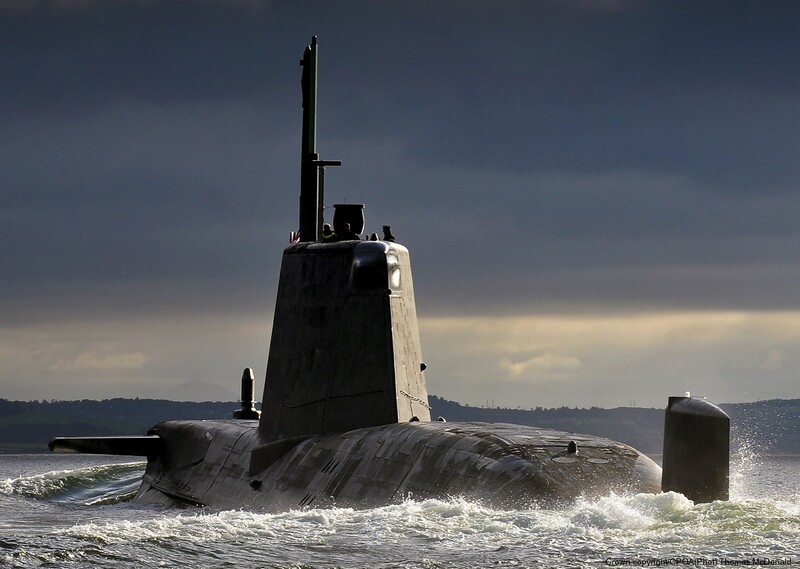 Ambush was commissioned in a ceremony at HM Naval Base Clyde on 1 March 2013. 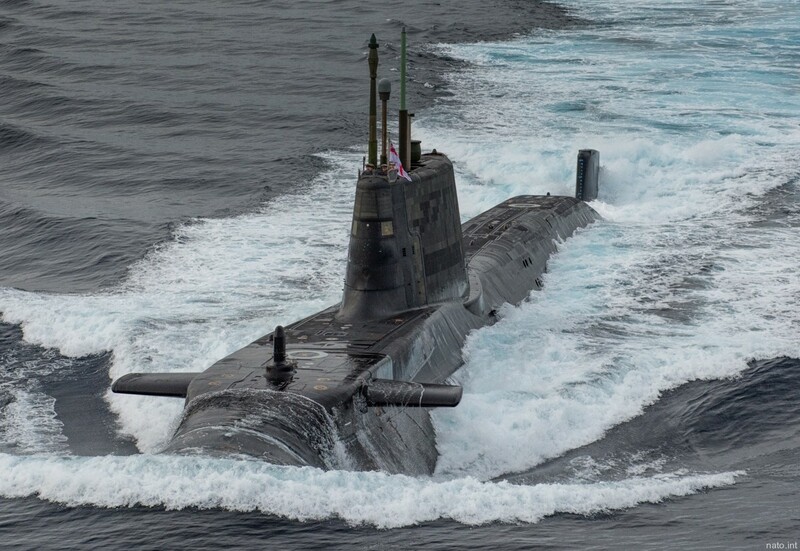 Ambush was scheduled to conduct her maiden operations sometime in 2014. 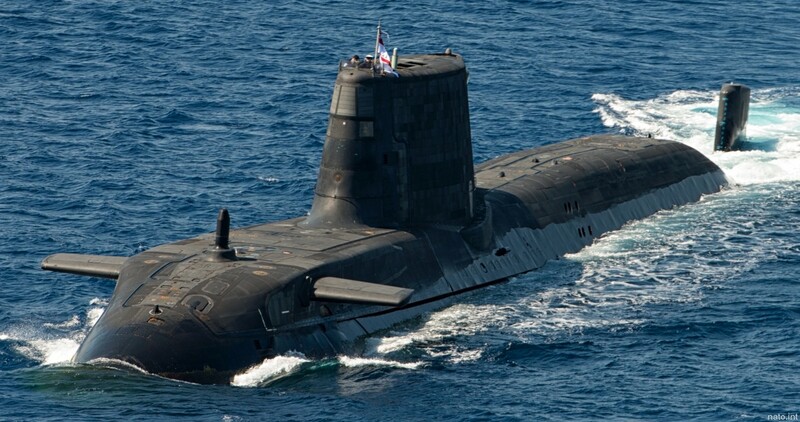 She has already conducted trials, linking up with RFA Diligence. 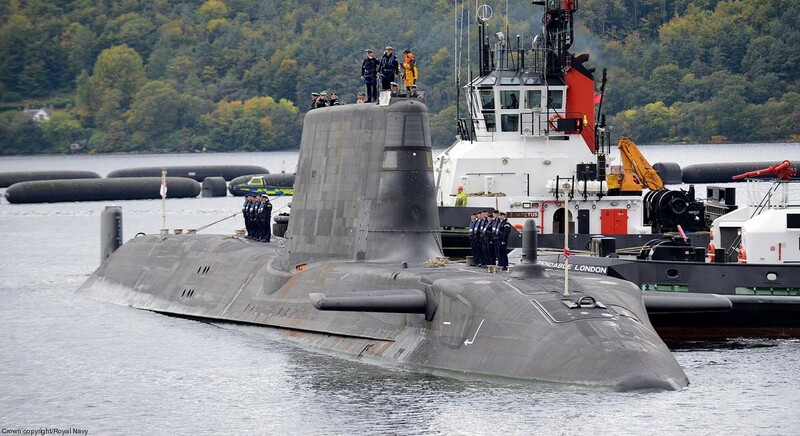 She has also conducted torpedo and Tomahawk cruise missile tests, with early signs showing that they were successful. 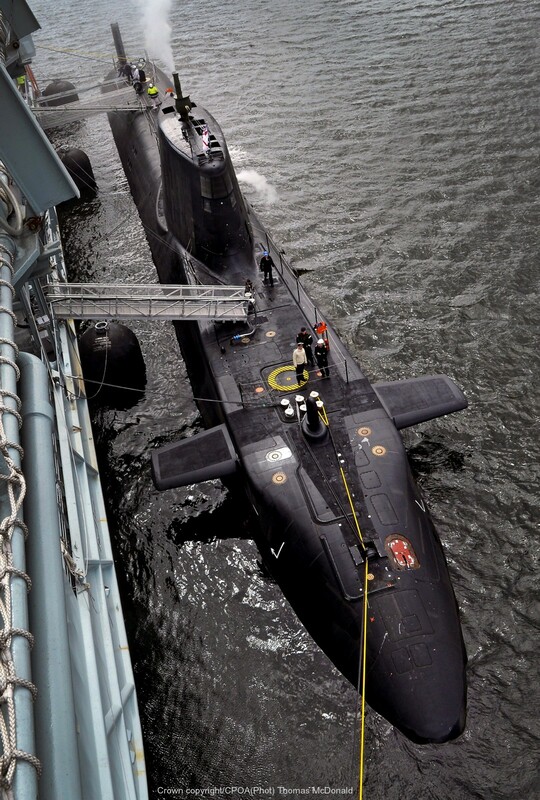 Ambush sailed down to Brazil in 2014 and also made a port call in Port Canaveral. 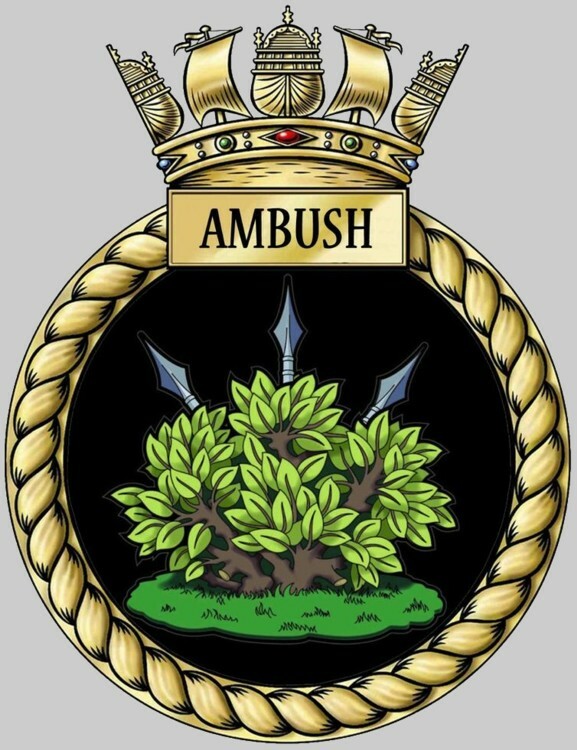 In April 2015, Ambush participated in Exercise Joint Warrior, the largest military exercise held in Europe, alongside 55 other naval ships of NATO navies. 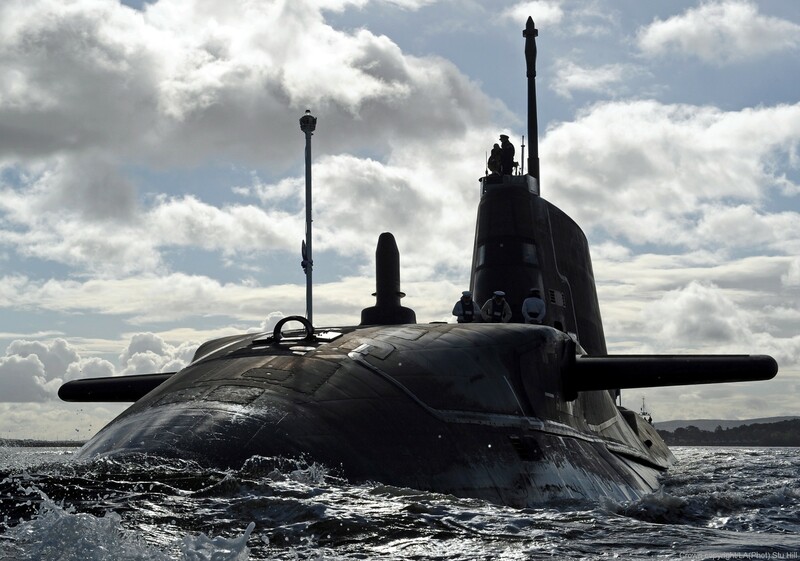 It further participated in Exercise Dynamic Manta 15. 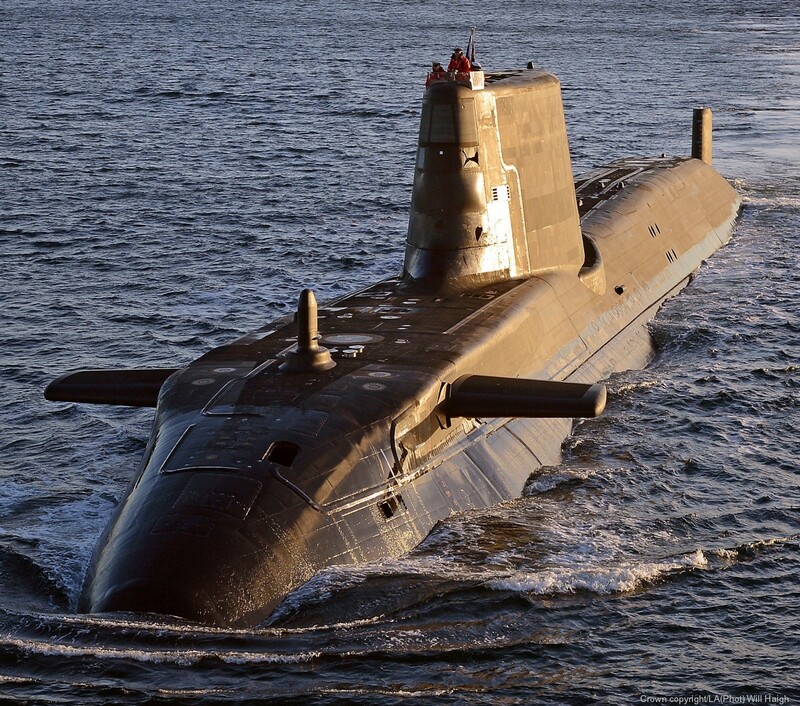 In August 2015, The Sun reported that Ambush had conducted reconnaissance off the coast of Libya to locate targets for potential strikes against ISIS.